Isn’t winter wonderful . . . at the beginning? That first snowflake; a blanket of fluffy white; a fresh, brisk bite to the air. And suddenly, that familiar yearning returns: to spot a patch of green grass, to take in the scent of freshly turned soil, to find the first flower petals poking up from the ground. We begin to realize—could it be?—that winter is coming to a close. And the countdown to spring begins! Sometimes the last weeks of winter can feel like years—but if you incorporate activities to enjoy while you’re waiting for warmer weather, they can whizz by. 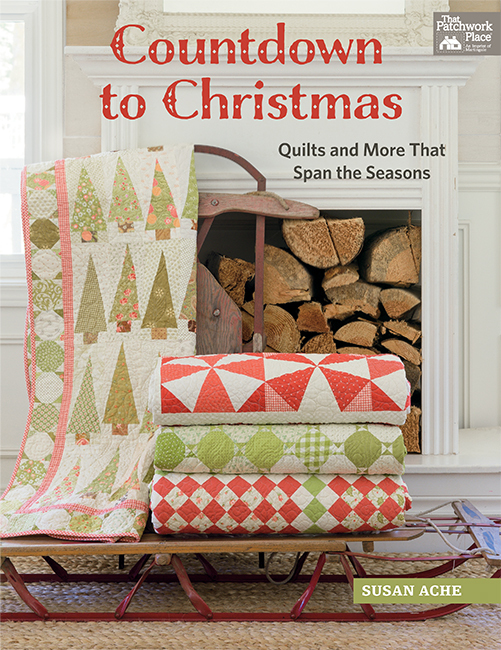 What do we quilters do? 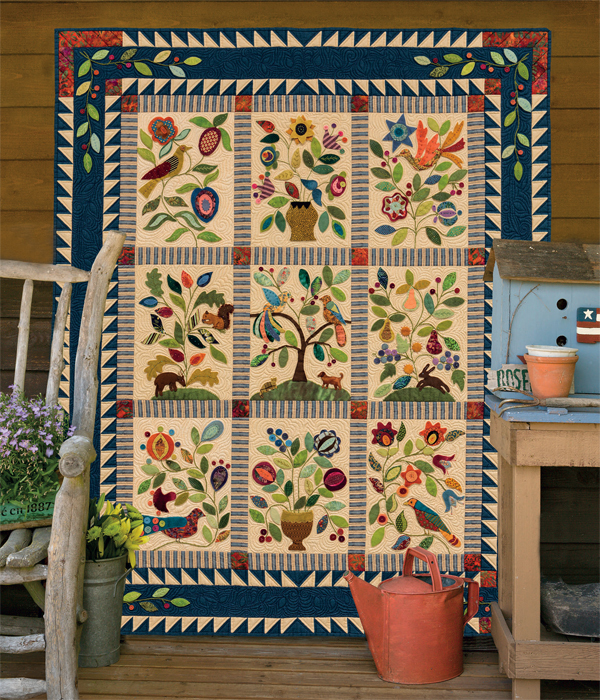 We thread our needles to sew the sun, we gather our fabrics to grow some flowers, and we create light and bright quilts to celebrate the coming of spring. Today we’re sharing a few fun ways to stay happy during the last weeks of winter. Choose your favorite springtime scene below and stitch an ode to the season of new beginnings—we guarantee it will get you through these last 35 days until spring. Who knows? 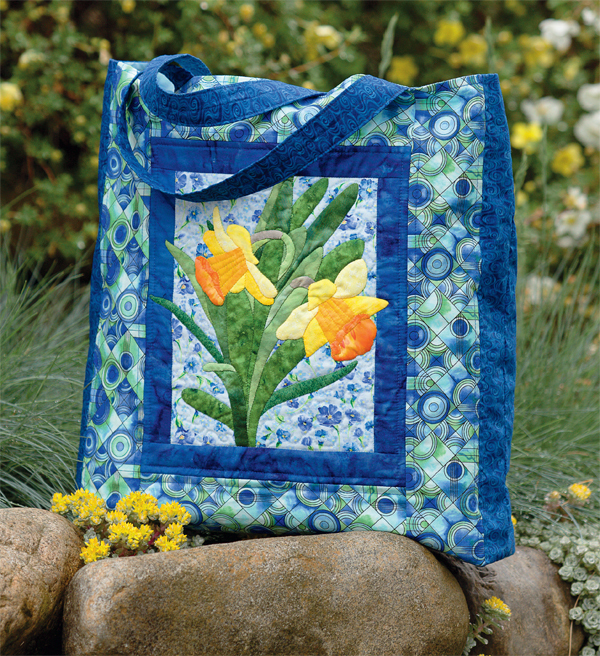 If we all sew together, spring just might decide to arrive early this year! 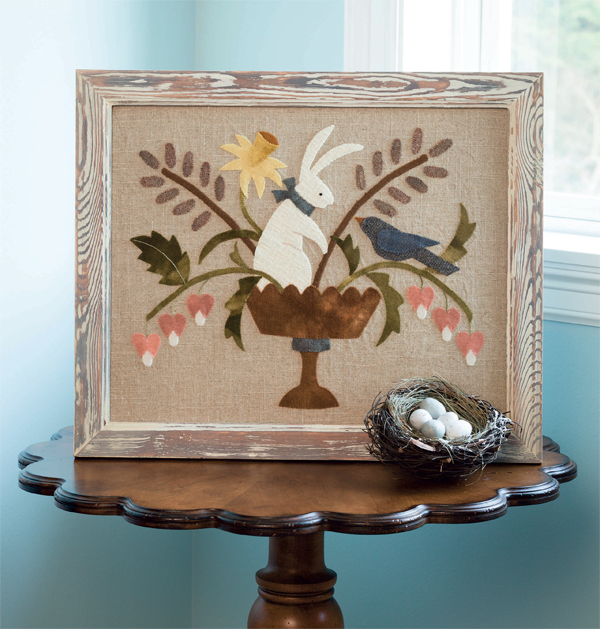 Gather your hand-dyed wools to make this sweet springtime scene; all you need to finish your piece is foam-core board and a rustic frame. What a showstopper for spring! 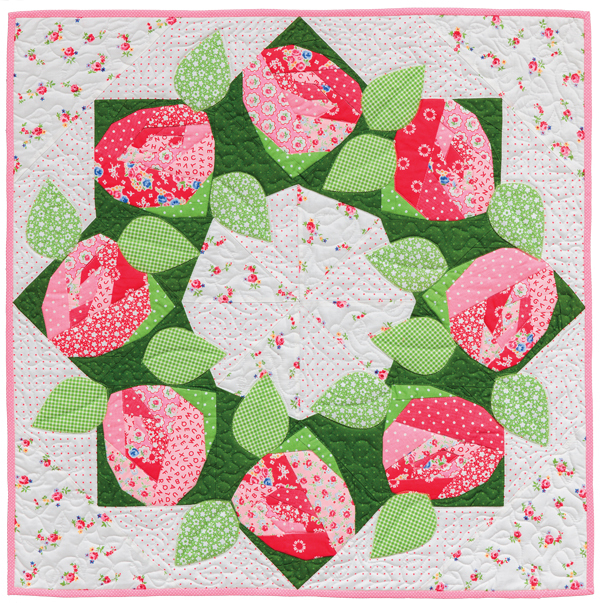 We love how Jeanne and Shelley use rickrack to add life to their flower stems—check out their how-to video on how to sew rickrack on quilts (*sew* easy). 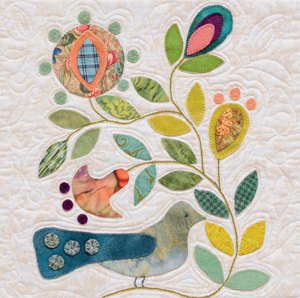 Gretchen used yummy felted wools and her favorite bird, animal, and flower motifs to create this sonnet to spring—simply a masterpiece! But don’t be fooled. No-fray wool makes this beauty easier to stitch than you might think. Whether spread on a table, draped over a sofa, or hung on the front door, this long-lasting wreath will spread springtime cheer. In the book you’ll find other ways to personalize your wreath—make one for every season! 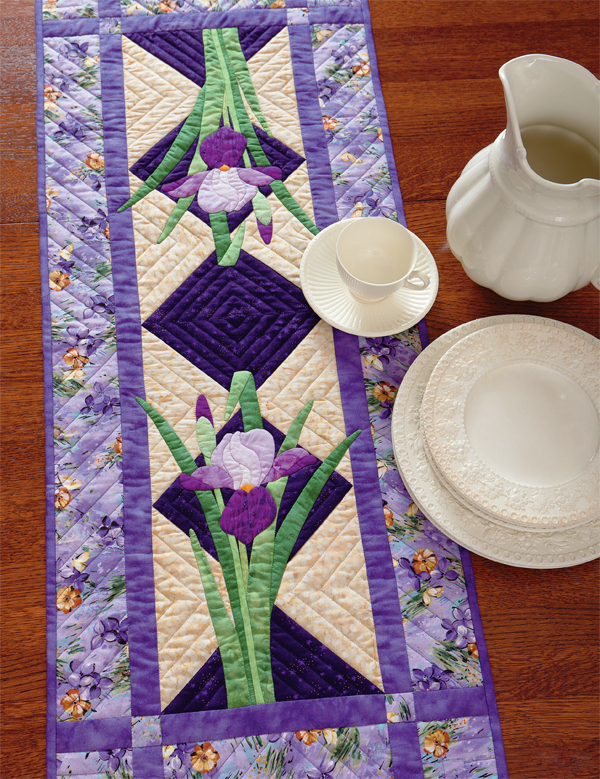 Susan chose a dark hue for the pieced background of this runner, and it gives her pretty purple flowers extra sparkle and pop. Lynn was inspired to design this dazzler when she was reminded of a childhood art project—making paper poppies for Mother’s Day. Fusible appliqué makes the design easier than it looks. 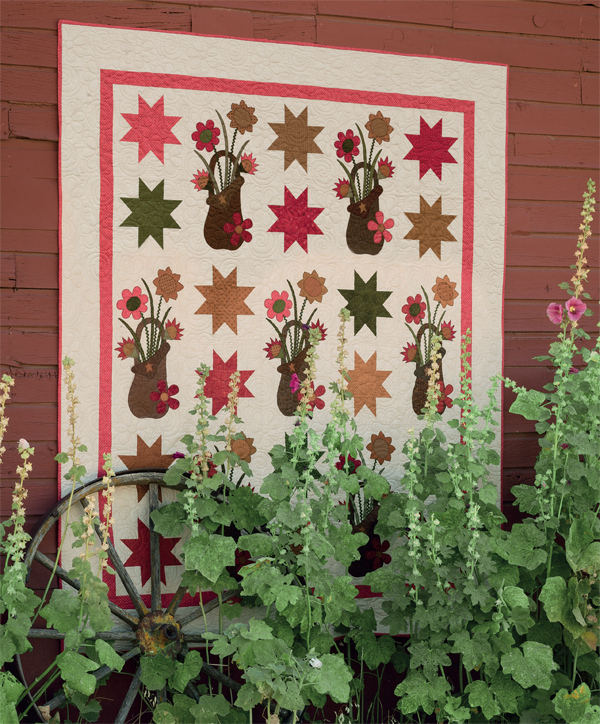 Doesn’t the patchwork make a perfect backdrop for these flowers? 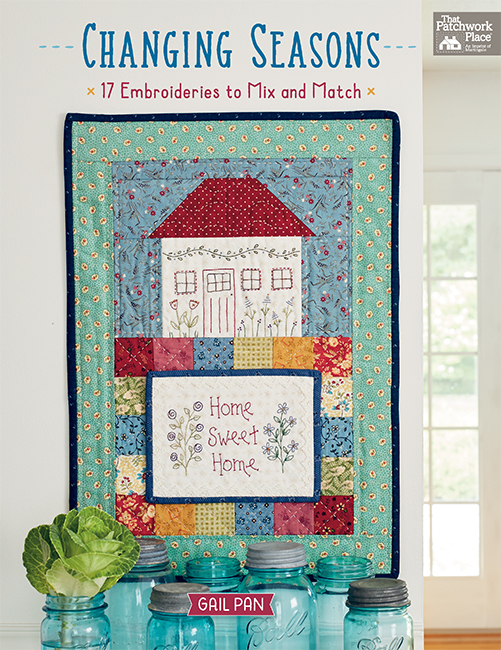 We hope we inspired you with our sewing-for-spring roundup! 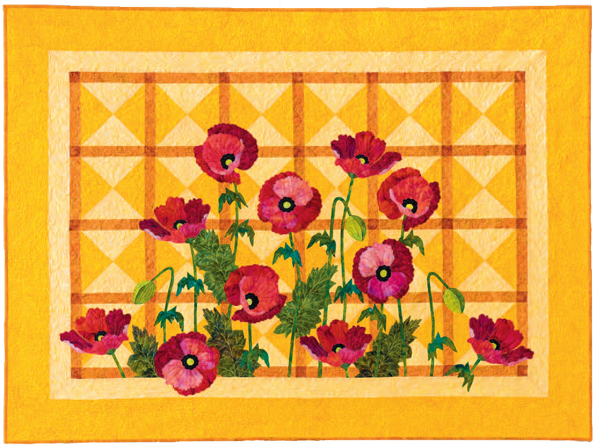 For more flower quilt patterns, check out our “Flowers” category of books at ShopMartingale.com. What excites you most about spring: the riot of colors, the return to the outdoors, the rising temperatures? Tell us in the comments! You made my heart pitter-patter with this post. And yes, after having our 20 millionth snow storm with a freezing rain storm on top, I am done with winter. Loved seeing all the pretty appliqués. Color excits me after the browness that is all around. Plus the anticipation of the first fruits of the garden. Lovely floral quilts — but we’re wondering where winter is. Here in Chicagoland the temperatures are 20 degrees are above normal! The beautiful colors of spring excite me most. I love the blue sky, the green grass, the yellow butter cups, the red tulips, the white and purple crocus, and the purple iris. After the winter we have had in Yakima I am more than ready for sunshine and flowers. I like spring because it’s a season of renewal. This is the season you decide to paint or redecorate your home. It’s also the season where it’s awe inspiring to just be able to walk the dog down a trail. Spring means hope for the future. I love the spring green leaves budding out on the trees. The sight of bulbs coming up, all the colors, the sunshine and blue sky. Getting out side and the return of the birds. I just love Spring. I look forward to the color of springtime flowers that precede the summer brown-out. I love the colors of spring that are so vivid. A true gift after winter. I’m excited about the riot of colors, and the trees blushing every color of green. Bring it on. I am delighted each year to see the new leaves breaking on the branches of trees. Especially horse chestnuts have such a beautiful fragile bright green leaf for their first few weeks. Here, in California, because of all the rain we have had (yay!) the hills are green, the grass in our yards is green. It’s wonderful! My favorite about Spring is no foggy days, sunshine all the time! Actually, our best "Spring" days are during the Winter! I actually love winter. 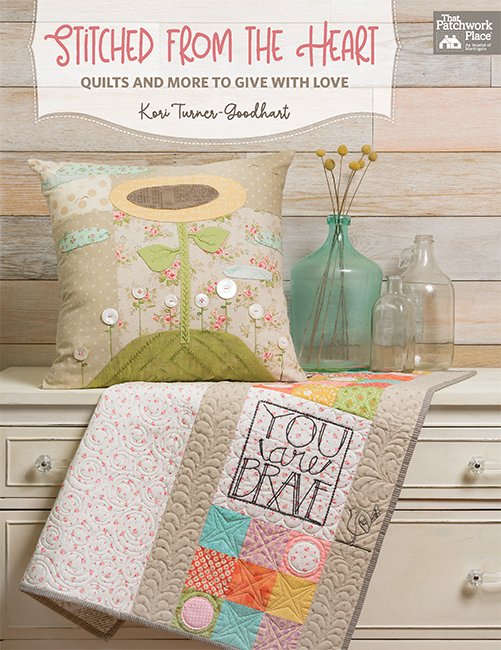 More time for me to quilt! However, oodles of cute baby calves are right around the corner! Can’t wait to see the wildflowers in the desert. They should be spectacular due to all the rain we’ve had in SoCal. I love spring flowers and I also love Susan’s appliques. I love everything about spring–it’s my favorite season! I look forward to the pastel and then brighter colors of spring. It’s like a whole new world is opening up. Can’t wait….only a few more weeks. I have no idea what warm is this year. This winter has been harsh and I hate the cold weather (even though it allows for more stitching). The new growth of everything from animals to grass is my favorite thing about Spring. Everything looks so new and clean after the winter mud and snow. I like that I can make a quick run outside for something without having to bundle up in three layers too. Hurry and show yourself SPRING! Bunny time and flowers, that is what excite me about Spring. I love the warming temperatures and all the greens that Spring produces. Such beautiful projects. Can’t wait to go outside without a coat! The colors, smells, and light are all icing on the cake!